Lappets formed part of a head dress, known as a 'lace head' in the 18th century. It was composed of a curved panel, the cap back, to which two long streamers were attached, called lappets. These lappets can be dated by their shape, with rounded ends and gently scalloped edges, and the relationship of their design to fashionable woven dress silks of the 1740s, with which they were worn. Although white, they might have provided the finishing touch to an ensemble of rich and vibrant colours. 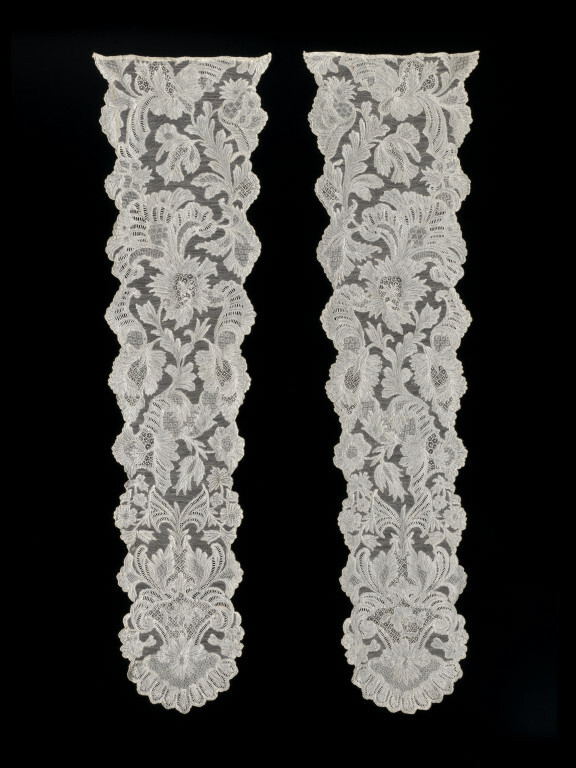 Pair of lappets, in needle lace. Cut and loosely hemmed at top edge. Slightly scalloped edges. Design of heavily stylised flowers and shell shapes on fairly open net ground. In point repeat at bottom, becomes asymetrical one third of the way up. 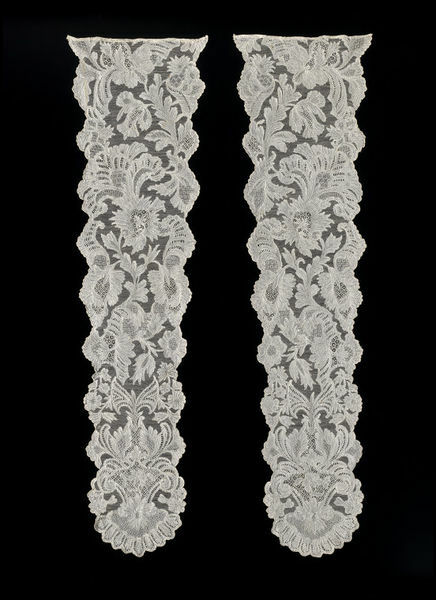 The lappets were described as French (point de Sedan) when acquired, but are more likely to have been made in Brussels.